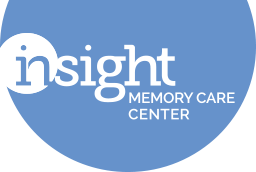 Insight Memory Care Center can serve as a site for service-learning and internships. IMCC also offers training opportunities for students and other professionals who are looking for an increased understanding of dementia and who want to learn techniques which facilitate working with older adults who are memory impaired. If you are looking to complete an internship for school, or a particular program, please contact us to discuss the specifics of your program requirements. We can be flexible to meet the needs of many programs, however, we do want to ensure that the internship would be beneficial to you, and to our organization. Ongoing opportunties are listed below. Please also take a look at our volunteer opportunities, to see if there is a good match there with any program requirements you may have. This is a unique learning opportunity for college-level students that are interested in working with individuals with Alzheimer’s disease (or those going into the geriatric field) and learning about appropriate interventions. Interns will have the opportunity to gain experience assessing, planning, implementing, and evaluating programs. Students will work under the supervision of a CTRS and gain experience working with many other healthcare professionals. If you are interested please contact Katelyn Sloan at katelyn.sloan@insightmcc.org or call 703-204-4664. IMCC is a Certified Music & Memory Center. Through the use of playlists an iPods we are able to provide a unique musical experience for each participant. The Music and Memory program helps participants by calming anxiety and agitation, while also providing stimulation and reawakening memories. You will have the opportunity to work with participants to create playlists and work to build and organize our database of songs on iTunes. If you are interested please contact Katelyn Sloan at katelyn.sloan@insightmcc.org or call 703-204-4664. Bachelors of social work (BSW) college-level interns gain experience working directly with individuals with various types of dementia and analyze these experiences within the bio-psycho-social-spiritual framework. Masters of social work (MSW) interns take an active leading role in all duties and responsibilities of the social services coordinator. MSW interns gain a nuanced understanding of the different types of dementia and other issues of aging. If you are interested in either Social Worker Internship please contact Stephanie Houpt at Stephanie.Houpt@insightmcc.org or call 703-204-4664. Be a part of the fundraising and communication team at a small nonprofit. Learn how to put a newsletter together, help with social media, request donations from donors, keep accurate information on donors, and run successful events. As a development intern you will have a hands-on approach to learning about fundraising and communications. If you are interested please contact Robin McGlothin at Robin.McGlothin@insightmcc.org or call 703-204-4664. If you are interested in a nursing internship please contact Wivine Mbualungu at wivine.mbualungu@insightmcc.org or call 703-204-4664.